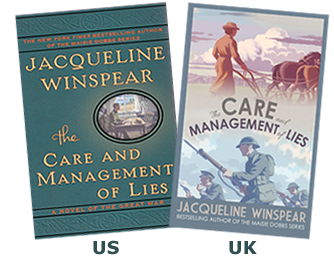 Usually when there's a new Jacqueline Winspear book, I have to put my blinders on and avoid all details about them because they're new Maisie Dobbs stories and I'm still about three books behind the latest one (on purpose). But now she's written a stand-alone novel, The Care and Management of Lies, a very in-the-moment story of the First World War, so I got to read this one right away. As you might expect from Winspear, this isn't a big action story. Rather, it's about the relationships between the characters, old school friends Kezia Marchant and Thea Brissenden, and their maturation into adults as they face the trials that come with a nation entering war. It's quiet and poignant, heartbreaking but also uplifting. It's a reminder that no lives were left untouched but that many people rose to the occasion and became the best version of themselves that they could be during a dark time. Winspear is really an expert at bringing this period of history to life. p.s. I received a galley of this book from the publisher. Nice post! I haven't read anything by the author yet. This book sounds like a good place to start. This would definitely give you a taste for her amazing knowledge of the time period and her writing style. 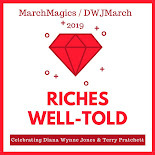 I just saw in a newsletter that this is actually her only stand-alone novel so unless you're ready to start the Maisie Dobbs series, this is definitely a good one to pick up!